Frozen dessert, requires no especial ice-cream makers, just freezer and fork. 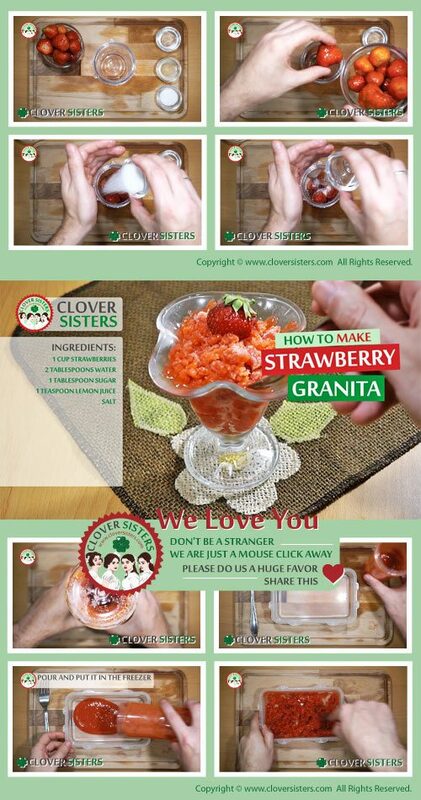 Easy to make, granita is a one of the ways to enjoy strawberries. Add the strawberries, water, sugar and lemon juice into blender and blend it until completely smooth. Pour it into the wide pen in thin layer. 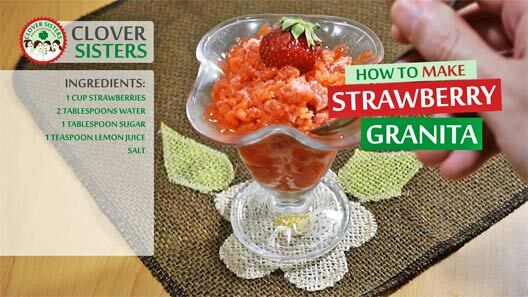 Put it in the freezer and every half an hour scrape and stir granita with the fork.